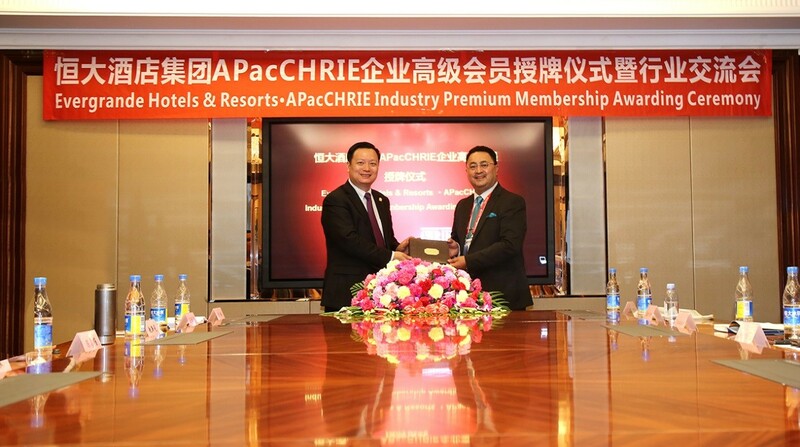 On Jan. 19, 2018, the premium membership awarding ceremony was held at the Evergrande Center, symbolizing that Evergrande Hotels & Resorts officially joined the Asia-Pacific Council on Hotel, Restaurant, and Institutional Education (APacCHRIE) as a premium member of the council. Dozens of representatives of both sides attended the ceremony. 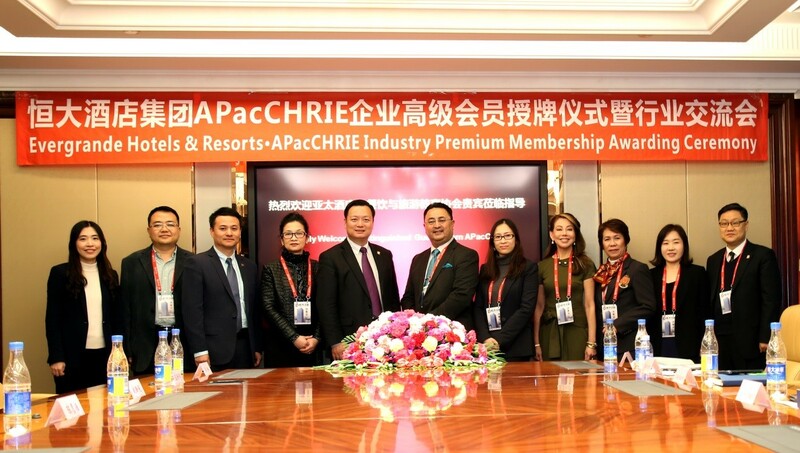 To meet the demand of fostering branding, industry communication and talent training, Evergrande Hotels & Resorts had many rounds of discussions with APacCHRIE, and finally decided to join the council. Both sides agreed to have comprehensive exchanges and cooperation to make a win-win situation in future. At the ceremony, William Tang, Deputy General Manager of Evergrande Hotels & Resorts, introduced that during the last 10 years of development since establishment, the group has adhered to the aim as a first-class hotel group and initiated the "N+1" model, successfully opened and operating 13 self-managed hotels, including the Evergrande Venice Resort by the most beautiful seaside of East China, Evergrande Hotel at Tianjin Dongli Lake with the first Han & Tang Dynasty-style hot spring center, Evergrande Hotel in Nyingchi, Tibet as a Pearl of Sichuan-Tibet highway. Moreover, during the past few years, the group purchased 3 international mandatory management projects by means of Merge & Acquisition, Amanfayun, Amandayan and St. Regis, Chengdu respectively. The group's entering the CBDs of first-tier cities as well. 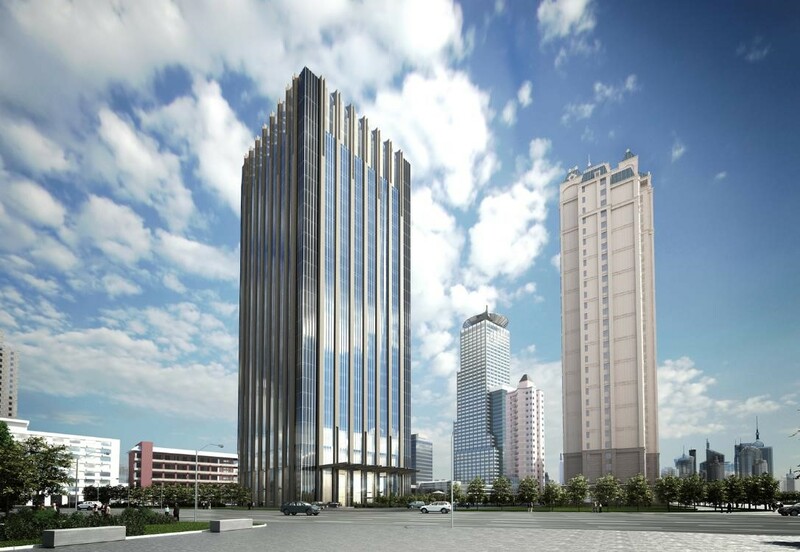 The main structures of Evergrande Hotel at Shanghai Pudong and Evergrande Hotel at Chongqing Zhongyu Square were completed and prepared to be opened in the near future. 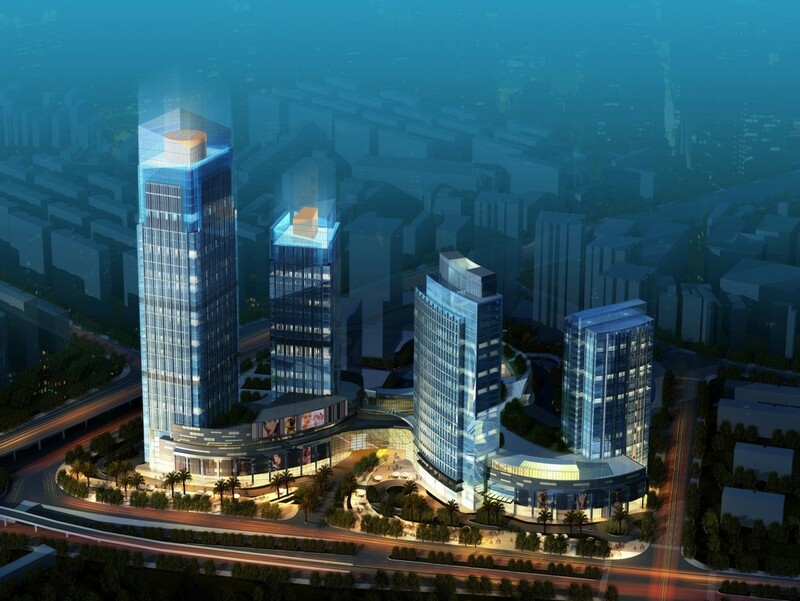 Meanwhile, the Haikou Bay Apart' Hotel and the hot spring hotel in Enping, Guangdong will soon be opened in 2018. 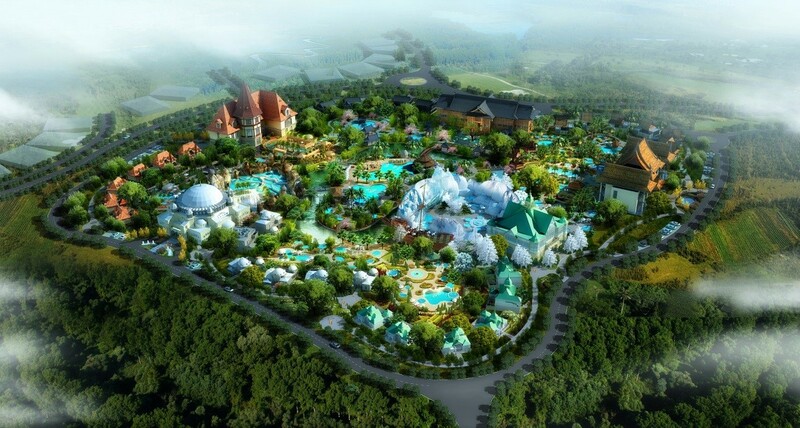 Since the hotel, apartment and hotspring series have successively launched, as well as the planning of Fairyland Theme Park hotels, the group’s strategy of "To open 100 hotels in 10 years" is progressing steadily. Not only does the group focus on project development, but concern about professional talent reserve for long-term development, as well as the continuous working skill upgrading of present staff, therefore the group endeavors to cooperate with APacCHRIE in terms of industry communication, brand communication and talent training. During the ceremony, Dr. Amy So, Immediate Past President of APacCHRIE, expressed her gratitude and compliment for what Evergrande Hotel& Resorts have done, and as one of the most influential institutions of Asia-Pacific region, APacCHRIE pays a lot of attention to China's industry and education. She's very confident to see Evergrande Hotel& Resorts to be benefited from the cooperation of two sides. Mr. Samir Thapa, President of APacCHRIE, regarded the cooperation as a new beginning, looked forward to mutual exchange and help, and optimistic about in-depth cooperation like talent training. Professor Liu Jing Yan, Associate Dean of School of Management of Sun Yat-sen University, highly praised what Evergrande Group had achieved for years. On the basis of Evergrande Group, Evergrande Hotels & Resorts is developing rapidly with long-range strategic view. As a representative of APacCHRIE in China, Professor Liu's willing to be of more help in many different ways. ApacCHRIE was founded in Hong Kong in 2002, and is one of the most important and largest associations in scale in Asia-Pacific for hotel and tourism education, aiming at promoting the academic communications among hotels, catering service, tourism educators and industrial practitioners in Asia-Pacific region. Evergrande Hotels & Resorts, inheriting the brand connotation of parent company Evergrande Group, has always endeavored to be a first-class hotel group. With multi-brand strategy to be implemented in 2018, the group will surely be more competitive and influential in hospitality with more brands and products, providing more diverse options for both business and vacation guests.